As the only global organisation of anaesthesiologists, with strong links to surgical organisations, official liaison with the WHO and consultative status with UN-ECOSOC, the WFSA is well placed to influence others and has been actively promoting patient safety since its founding in 1955. The programme guides and encourages Member Societies in single and joint actions that support our objectives and it welcomes suggestions from Members around possible calls for action / campaigns that a Federated approach would strengthen. Through the provision of tools, co-ordination of collective action and direct approaches to decision makers and influencers the WFSA seeks to amplify the voice of anaesthesiologists and convey the importance of this branch of medicine around the world. The WFSA launched the SAFE-T "Safe Anaesthesia For Everybody - Today" Campaign at the 16th World Congress of Anaesthesiologists (WCA) in Hong Kong in September 2016. The SAFE-T Campaign was born out of an advocacy initiative with the same name launched on World Anaesthesia Day 2015. Anaesthesia providers were asked to “unite for safe anaesthesia” on social media. The response was incredible with thousands taking part worldwide. This success inspired the creation of a revamped SAFE-T Campaign, a collaboration between governments, organisations, industry (SAFE-T Consortium) and civil society (SAFE-T Network) to commit to the advancement of patient safety and the International Standards. To find out more about the Campaign and how you can join as an individual, NGO or company, please click here. The WFSA has created a ‘SAFE-T Campaign Toolkit’ for anaesthesia providers and medical professionals around the world to get involved with the campaign. Anaesthesia providers and medical staff are asked to ‘unite for safe anaesthesia’ by printing these banners, taking a photograph of themselves and their location, and uploading it onto social media on World Anaesthesia Day 2016 (Sunday 16th / Monday 17th October 2016). As an organisation that has official relations with the WHO the WFSA actively supported the above agenda item through to the passing of the resolution at the 68th World Health Assembly on 22nd May 2015. This forms part of our wider response to the global crisis in surgery and anaesthesia. We are delighted that the World Health Assembly unanimously approved the resolution and that a WFSA statement, delivered by ASA President Dr JP Abenstein, was warmly received and can be downloaded here. WFSA now calls upon all Member Societies and other interested parties to make the case for surgery and anaesthesia with key influencers and decision makers in their own countries and regions. 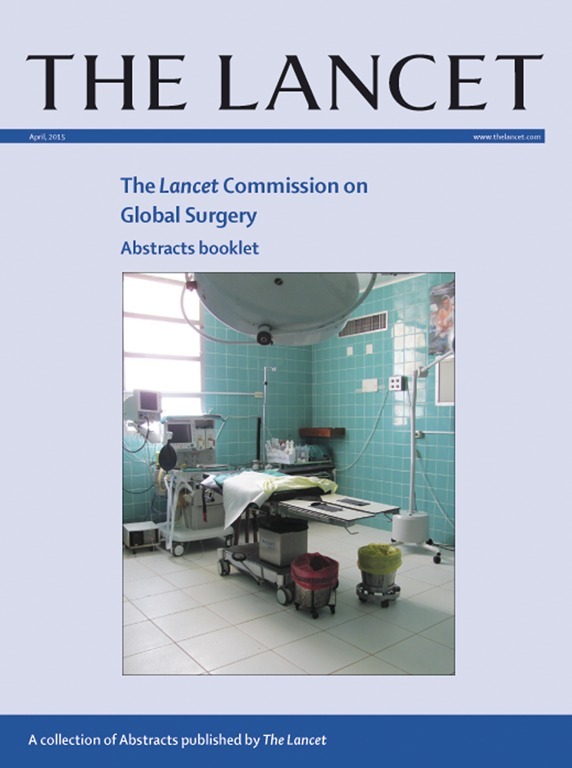 To ensure that the role and impact of anaesthesiology is given due consideration the WFSA is closely involved with the work of the Lancet Commission on Global Surgery. We also recommend the DCP-3 report on Essential Surgery which makes the economic argument for surgery and includes a chapter on anesthesia and perioperative care. With some countries calling for international restrictions, the WFSA coordinated a response to Governments and the WHO to limit a potential threat to the availability of ketamine as an essential anaesthesia drug. Over 40 member societies made written submissions that were sent to Ministers of Health and the WHO Expert Committee on Drug Dependence (ECDD) clearly identifying the medical necessity of ketamine in anaesthetic practice, especially in low and middle income countries. On the 16th of June 2014 WFSA deputy secretary, Dr Jannicke Mellin-Olsen, attended the meeting of the ECDD in Geneva and made a powerful presentation on the importance of ketamine as an anaesthetic drug. Her presentation can be seen here. The WFSA letter to WHO can be downloaded here. After critical review, the June 2014 meeting of the ECDD recommended that ketamine not be placed under international control. It acknowledged the important medical use of ketamine as an anaesthetic, especially in low and middle income countries and in crisis and energency situations because of its safety margin and its ease of use. The Committee noted the concerns raised with respect to the potential for ketamine abuse, but considered that the risk to public health posed by ketamine abuse does not warrant its scheduling. The full report of the WHO Secretariat on the 36th meeting of the ECDD can be downloaded here. Further to the ECDD the Commission on Narcotic Drugs (CND) then met in March 2015. Sustained advocacy by the WFSA and others continued and happily China withdrew its proposal to restrict ketamine, pending further study / data collection. In 2015 the British Journal of Anaesthesia published an article entitled Ketamine: A growing healthcare need written by Professor Adrian W Gelb, chair of the WFSA Safety & Quality of Practice Committee, Dr Jannicke Mellin-Olsen, Deputy Secretary of the WFSA, and Dr Tina T Dong. The article explains the importance of ketamine in a medical context and the damage restrictions on this essential drug could do to global health. Also in December 2015 the World Health Organisation again reccomended against the international control of ketamine for the fourth time since 2006. The Committee concluded that ketamine abuse does not pose a global public health threat, while controlling it could limit access to the only anaesthetic and pain killer available in large areas of the developing world. Read more about the Committee's findings here. In a post 2015 world the global health agenda will be heavily influenced by the Sustainable Development Goals. In collaboration with other organisations the WFSA is campaigning hard to ensure that mistakes are not repeated and that universal access to safe surgery and anaesthesia are highlighted in SDG 3 "Ensure Healthy Lives....". You can find out more about the SDGs here. You can download Health Priorities Post 2015 a paper written by members of WFSA and Lifebox outlining why surgical care must be given priority on the post 2015 health agenda. WFSA is a also a proud co-signatory of the Amsterdam Declaration which, together with 50 other organisations, calls for the inclusion of anaesthesia and surgery in the SDGs. As an organisation in official relations with the WHO the WFSA was invited to provide feedback on the draft action plan to end preventable deaths amongst newborns. The draft plan made no mention of anaesthesiology despite the impact of obstetric and paediatric anaesthesia in preventing neo-natal deaths and in managing pain for mothers during delivery.